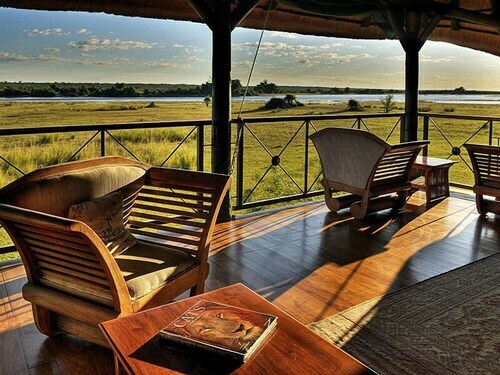 Expedia has some great Chobe National Park packages ready for you. Bundling your airfares and accommodations is one of the easiest ways to save cash on your upcoming adventure. Savings of up to C$590* are available to savvy travelers who book a package deal on Expedia. Look around our intercontinental database of more than 400 partner airlines and 321,000 properties worldwide. Too many on there to select from? Don't stress — we'll help you decide! There's no end to the number of exciting things you can do when you're in a new place. So why not get your trip to Chobe National Park off to a flying start by perusing some of our ideas? After all – out there starts here! Up for some horse riding? It's one of the leading activities in the wider region and a fantastic excuse to get outdoors. Still got time to spare? After you've ticked that off your list, make more special memories by taking yourself bird watching. Got the tickets booked for your trip to Chobe National Park yet? When you arrive, get ready to walk out into Maun Airport (MUB). It's 85 miles (137 km) from the terminal to the heart of town. 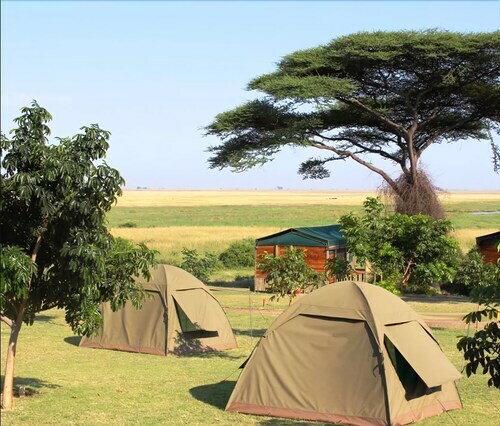 Situated in Chobe National Park, this tentalow is 0.1 mi (0.1 km) from Chobe National Park and 29 mi (46.6 km) from Ghoha North Gate Chobe National Park. 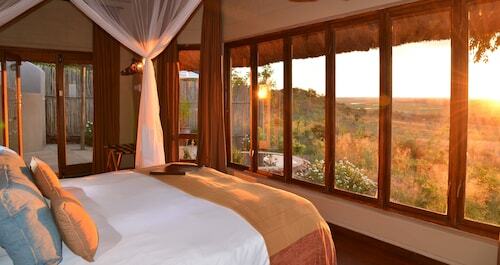 Situated in a national park, this all-inclusive property is within 1 mi (2 km) of Ghoha Hills and Chobe National Park. Ghoha North Gate Chobe National Park is 3.8 mi (6.2 km) away. 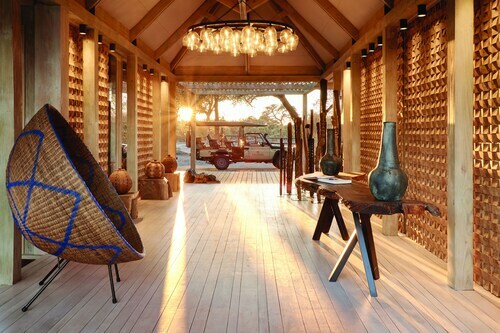 Situated in a regional park, this lodge is 17.2 mi (27.7 km) from Ghoha North Gate Chobe National Park and 21.2 mi (34.1 km) from Ghoha Hills. Situated in a national park, this tentalow is 0.1 mi (0.1 km) from Chobe National Park and 1.9 mi (3.1 km) from Bushman Petroglyphs. Ghoha Hills and Ghoha North Gate Chobe National Park are also within 20 mi (32 km). 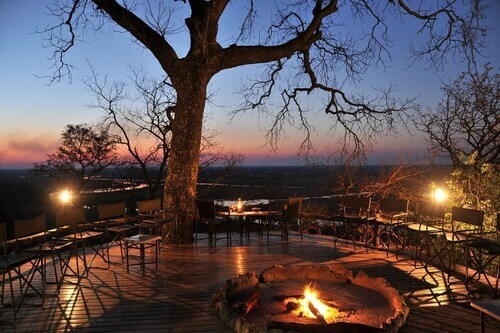 Situated in a national park, this hotel is 0.1 mi (0.1 km) from Chobe National Park and 4.3 mi (6.9 km) from Bushman Petroglyphs. Ghoha Hills and Ghoha North Gate Chobe National Park are also within 20 mi (32 km). 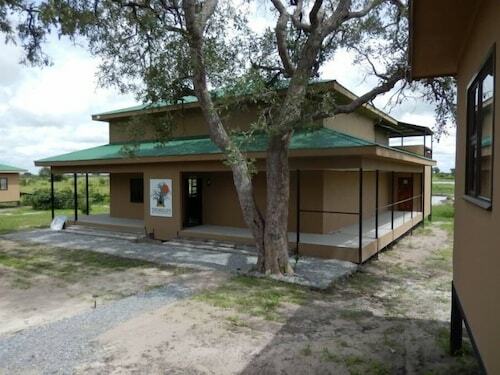 Situated on a river, this lodge is 8.3 mi (13.4 km) from Chobe National Park and 14.8 mi (23.8 km) from Ngoma Bridge. Situated on a river, this all-inclusive lodge is 2.4 mi (3.9 km) from Chobe National Park and 4.2 mi (6.7 km) from Ngoma Bridge. Salambala Conservancy and Kasika Conservancy are also within 32 mi (52 km). Situated on a river, this luxury hotel is 3.3 mi (5.3 km) from Chobe National Park and 5.8 mi (9.3 km) from Ngoma Bridge. Salambala Conservancy is 23.8 mi (38.3 km) away.